The extensive menu of Diatron chemistry reagents offer high quality, long life and exceptional performance. The applications are designed with excellent sensitivity, precision and extended linearity ranges. The reagents are manufactured at an ISO 13485-certified facility, where they undergo extensive QC and performance testing. Each lot is optimized to ensure minimum lot to lot variation and are cross matched to reference calibrators and controls. Most reagents have up to 24 months shelf life, 30 to 60 days on-board, open container stability and long life calibration curves. 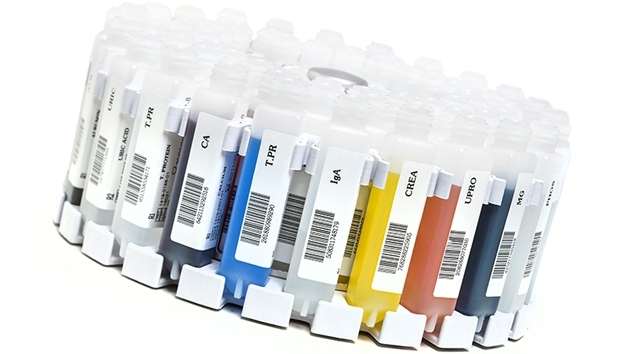 Diatron clinical chemistry - liquid and ready-to-use, bar coded reagent vials are specifically designed and optimized for use on the Diatron Pictus analyzers and can be loaded on the system without interrupting its operation. Reagent quality and stability that brings you savings! Diatron clinical chemistry reagents are highly stable from 2*C to 15*C and require less frequent calibration than most others. They can remain on-board the analyzer un-capped, ready to use, to ensure the most efficient use of time and offer improved work-flows while delivering first class performance at all times. Extended assay ranges ensure fewer sample repeats, saving laboratory time and costs. All reagents are conveniently barcoded with bottle specific traceability and filled in optimized volumes to virtually eliminate waste. With reduced calibration frequency the lab saves reagent, calibrator and operator time. A full line of verified and cross referenced calibrators and controls in appropriate sizes and formats are also available. Designed to meet global regulatory and compliance standards, the design and performance of Diatron reagents exceed the most stringent customer requirements. Special Proteins: Diatron presents World Class performance from an extensive list of special protein reagents that are specifically designed and formulated to virtually eliminate the risk of Prozone/Hook effect from high levels of “antigens or antibodies” in samples. Many other reagents available in the market can be overwhelmed due to their less concentrated formulations and can suffer from “reaction hook effect”. Thus, these more diluted reagents can generate inaccurate/misleading patient results. Another benefit of the Diatron Special Proteins reagents is that they are designed to avoid interference from HAMA (Human anti-Mouse antibodies), RF (Rheumatoid factor) or heterophilic antibodies and are formulated with a unique Ab-latex binding technology that provides the best performance and highest confidence available with any other immune-turbidimetric-based assays. Different kit size options are available to satisfy the needs of small to larger volume laboratories. High quality bulk and general purpose reagents are also available on a request. *​This product is not currently cleared for sale in the USA and only available in non-US markets. For more information of precise product availability please contact the appropriate regional Diatron office. To further meet your requirements, we also provide reagents for Olympus AU series from Beckman Coulter and the Siemens Advia (1200, 1800, 2400) series. All kits are supplied in appropriate vials with barcodes so they can be put straight onto the analyzers.